For more than 10 years we have supplied the healthcare and orthopedic industry with our unique spacer fabrics. Our spacer fabrics are three-dimensional circular knitted fabrics with technical features as high comfort, high moisture wicking abilities, breathability, long-lasting stretch and shape retention. 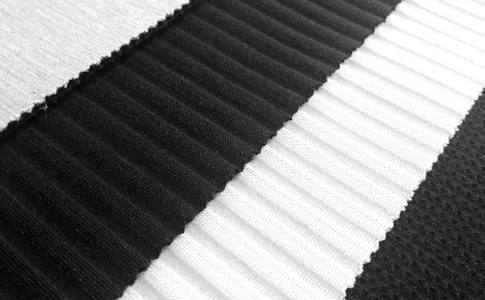 With our refined knitting techniques and many years of experience we knit our unique spacer fabrics in one single process. Spacer fabrics have many outstanding qualities when it comes to usability and comfort within the healthcare and orthopedic industry. Our spacer fabrics are light weight, four-way stretch and heat regulating. The fabrics preserve the users’ skin integrity by enhancing moisture transfer, pressure distribution and minimizing shear and friction. Our spacer fabrics play an essential role in our society, as we create these fabrics for life saving and life preserving products. Within the healthcare and orthopedic industry we provide spacer fabrics for compression and support-surface products, used after operations or for maternity to support the body. A new interest for spacer fabrics is now coming from the wheelchair industry, as the good qualities fits well with the need of wheelchair users. Spacer fabrics are now also requested by the performance, sport and fashion industry. Within the performance and sport industry, spacer fabrics can be used for protection, support and effect in clothing. Within the fashion industry spacer fabrics can be used as structural fabrics, bra-padding, detailing and much more. As for all of our fabrics, it is possible for our customers to request and co-create their own unique spacer fabric. Together with our design team and our expertise, our customers can request structure, abilities, patterns and color.